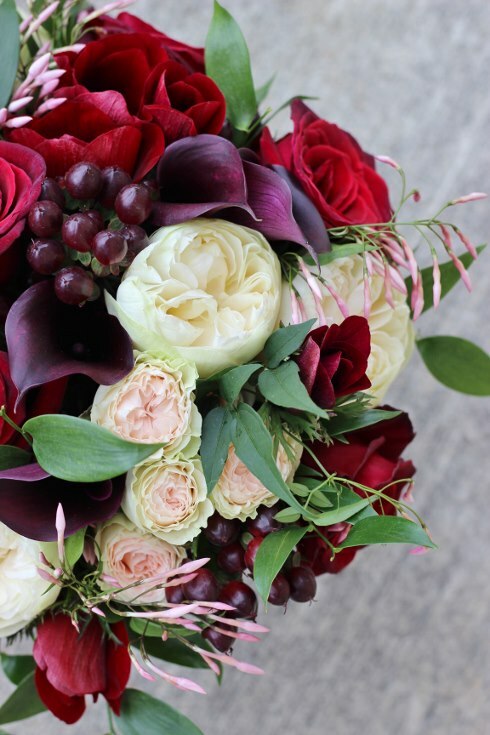 I loved creating this classic style hand-tied bridal bouquet for Susan. 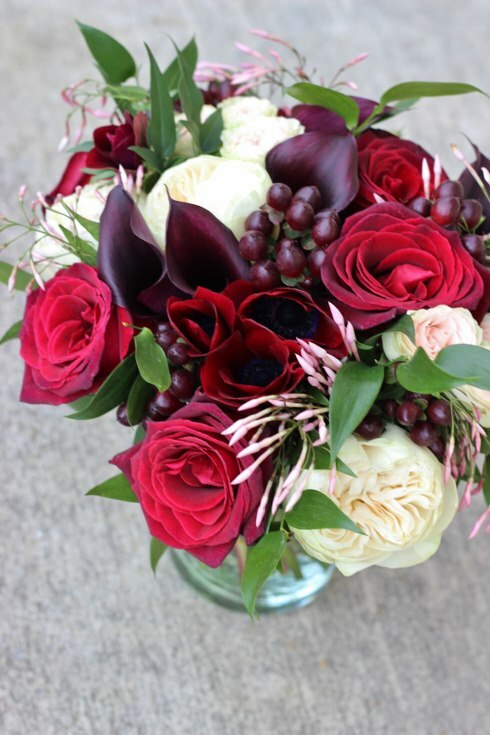 Dark burgundy and ivory is a tough color palette from a design perspective. It can easily go wrong and look polka dotted. So I love incorporating a touch of blush to bridge the color gap and have a smoother transition. 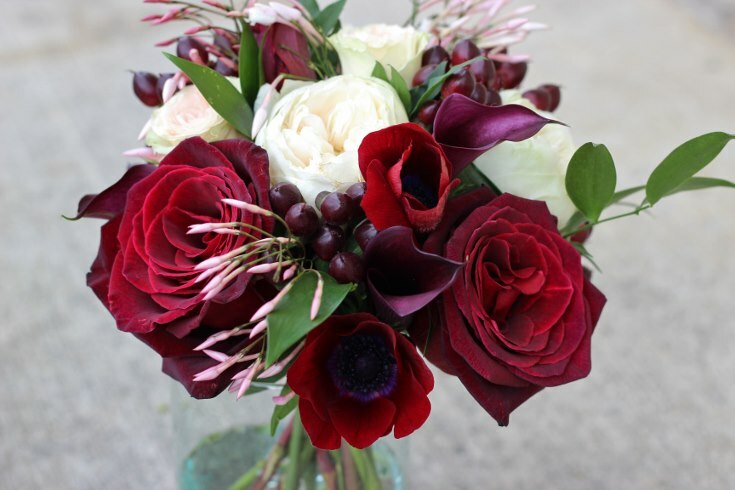 Susan’s bouquet included dark burgundy baccara roses, black calla lilies, burgundy hypericum berries, italian ruscus foliage, ivory garden roses, blush pink garden spray roses, burgundy anemone and my favorite -blooming jasmine vine.